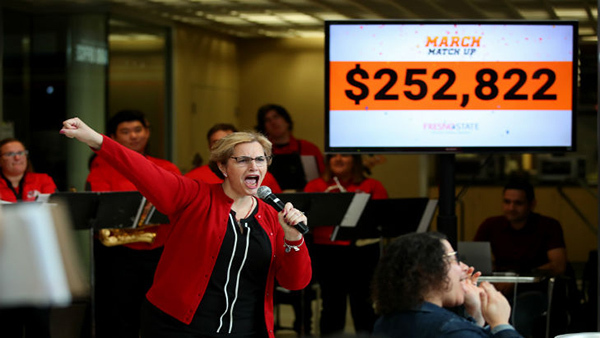 Fresno State’s 2019 March Match Up campaign was the most successful so far, raising $252,822 for the Student Cupboard, a food and hygiene pantry for Fresno State students. A total of 321 donors invested in the campaign, which lasted throughout March. This year’s total exceeds the previous record by 37 percent. The earlier record was $184,475 raised in 2017. “We are very appreciative of so many partners and donors getting involved and investing in the March Match Up campaign,” said Dr. Frank Lamas, vice president of Student Affairs and Enrollment Management.